Wendy can’t get to sleep, no matter what she tries: counting sheep, reading her nursery rhymes or turning cartwheels. So, her parents take her to stay with her Grandpa Walter, who lives in a house decorated with wonderful wallpapers. Wendy walks past walls that look and smell like roses, oranges and the seashore. She chooses her favourite room, which is decorated with nursery rhyme characters. 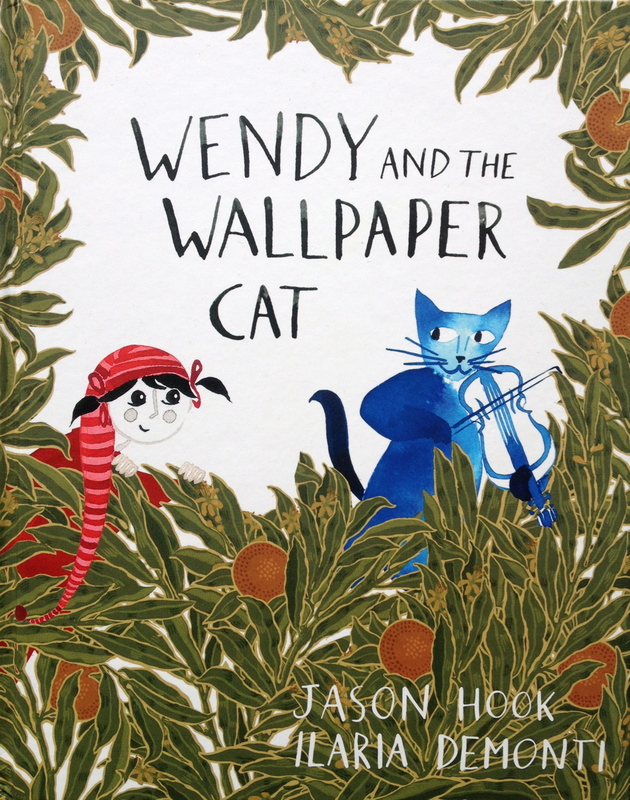 As she wonders how she will ever get to sleep, a wallpaper cat playing a fiddle leaps down and leads her on a magical adventure through the wallpaper landscapes she has discovered. In the morning, Wendy doesn’t believe she has slept, but feels happy and refreshed. When she returns home, her father has another surprise for her – one that will ensure she always sleeps wonderfully well. The story features the exquisite illustrations of Ilaria Demonti set within a world created from nineteenth-century wallpapers designed by Walter Crane. These can be seen in the collections of London’s Victoria & Albert Museum.